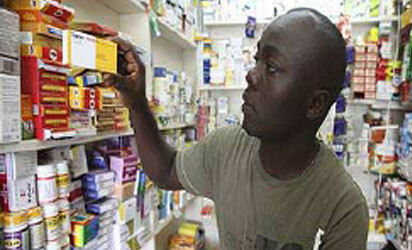 Zamfara Government is making arrangements to establish drugs and medical consumables management agency for quality drugs at affordable rate, the state’s Commissioner forHealth, Alhaji Lawal Liman, said. Liman told News Agency of Nigeria in Gusau on Sunday that when established, the agency would also ensure effective drugs management in the state. He said that the move was in line with Gov. Abdulaziz Yari’s efforts to harmonise the drug supply chain management system and reorganise drug distribution pattern in the state. The commissioner added that the state government team had visited Kano State for study tour of its agency as part of preparatory activities to establish the agency. He said the team had the state’s Attorney-General, Mr Bello Umar, the Deputy Clerk of the state’s House of Assembly, officials from the state’s ministries of health, budget and economic planning and hospital service management board. He explained that “the Kano State Drugs and Medical Consumables Supply Agency has established its Logistics Management Co-ordinating Unit (LMCU) to curtail the inflow and outflow of health commodities in the state. The commissioner said when the agency was established, it would ensure sanity in drugs securing and management, as well as medical consumables to the people of the state. support for the success of the agency. The post Zamfara to establish management agency for quality drugs appeared first on Vanguard News.